This post is the ninth in a series on seeds. In this series we'll cover everything from the importance of seeds, how to save seeds, how to start seeds, correct storage and so much more! Seeds are quite amazing. This tiny speck of life can grow into a massive plant producing bountiful food. Today we are going to talk about the basics of saving seeds, focusing on the easiest seeds to save. Seeds from: tomatoes, peppers, squash, cucumbers, peas, beans, corn are the easiest for beginners. Heirloom seeds create natural diversity within plant populations. This means that the seeds that you plant will adapt to the growing conditions of your garden. Year after year the seeds that you save will become stronger and more reliable in your climate. In addition to this you get to be part of a growing movement to protect and save our plant diversity and safeguard it for future generations. As you harvest your garden over the summer look for good healthy plants and fruits. When saving seeds you want to select the best quality from your garden. The seeds carry the genetic traits of that fruit so you want the cream of the crop. 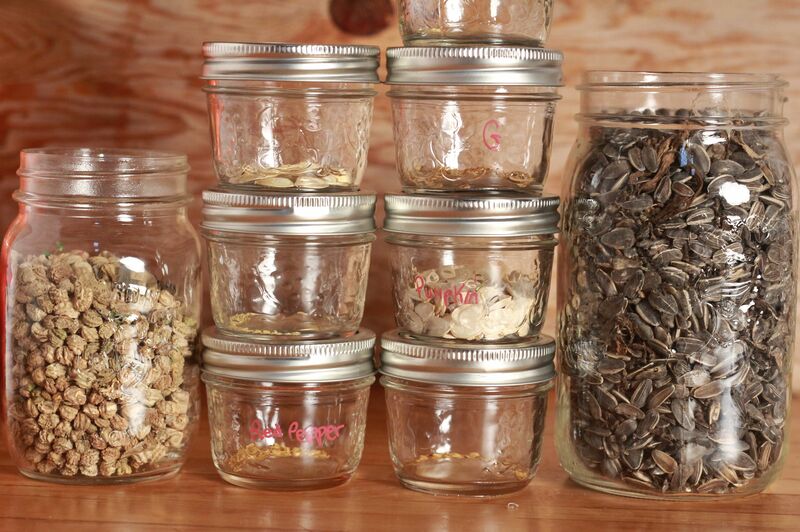 You'll want to find a cool, dark & dry location when storing seeds. Keep them away from heat and humidity and avoid spots that fluctuate in temperature. The reason air tight containers are preferable is that this extends the storage life of your seeds. When improperly stored, seeds can gradually absorb moisture from the air and this will shorten their storage life. We have plenty of mason jars (canning jars) and they come in a wide range of sizes making them quite perfect for our seed storage needs. There are a few ways to save the seeds from fruits and vegetables that store their seeds inside the fruit such as: tomatoes, peppers, cucumbers, melons and squash. We use the fermentation method because It has provided us with the highest success rate. Not every seed from the fruit will be "viable" and this method helps to eliminate those that wont grow. 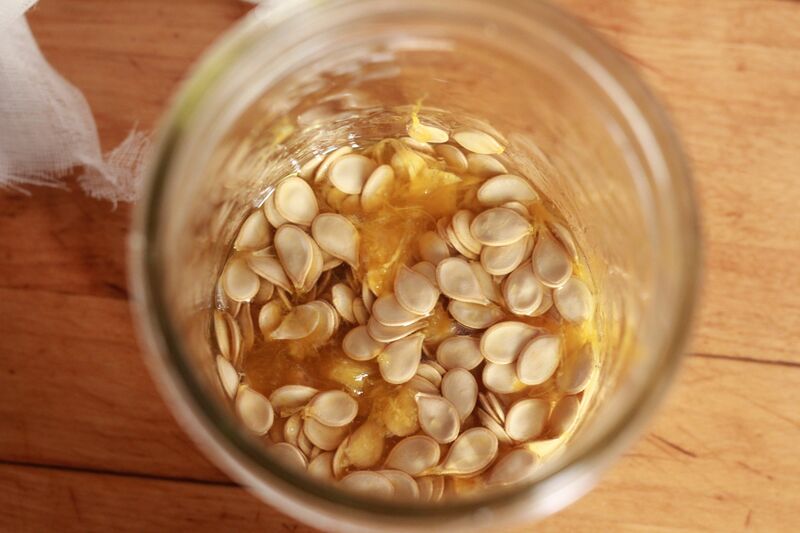 Scoop the seeds and pulp into a glass jar. Add 1/4 cup of non chlorinated water (if needed). Some fruit will have more pulp and liquid than others. You want your seeds submerged. Cover with a fabric cloth and rubber band (to keep flies out) and sit in a dark location for 3-5 days. This tends to get a bit smelly, once you see a bit of bubbling and white build up on the top of the jar you'll know they are ready for the next step. Scoop off the top layer and fill the jar with water. Give the jar a swirl. The seeds that sink to the bottom are the seeds you want to save. Scoop out as many of the floating seeds as you can and discard them. Dump the remaining contents of the jar into your fine mesh strainer and rinse well. Spread out the seeds onto a coffee filter or waxed paper plate and let dry. This can take anywhere from a few days to a week. You can use paper towel but the seeds will stick and you'll end up with paper towel bits on the seeds. This really does not matter but if you are selling or sharing seeds it looks a bit messy. Store in an airtight container in a dry, dark location. Don't leave seeds to ferment for too long or they will start to germinate and won't be any good for storage. Peas, beans, sunflowers & corn are really easy to save seeds. The vegetable itself is the seed! Simply leave the pods on the stalk/vine until they have dried. Once dried, make sure to gather the pods or husks on a sunny dry day when there is no moisture in the air. A good seed will still be full and plump (not withered and shrunken). Shell the seeds from their pods/husks and spread them out on a flat surface and let them air dry for a day or two just to be sure all moisture has been removed. Store in an airtight container and store in a dry/dark location. As you get into saving seeds for resale, or become ready for more advanced techniques you will want to learn about things such as: saving seeds from biennial plants (root veggies, kale, onions, leeks etc) and appropriate isolation distances so that species stay true and don't cross pollinate with one another. We'll cover all of this and more in future posts! Building a greener, more beautiful world one seed at a time. Excellent content! I hadn't heard of that method of fermentation to select viable seeds. I always just went by looks, but fermenting and observing definitely seems more scientific and beneficial in the long run. I find the whole process of seeds so fascinating and miraculous. I read somewhere that the theory behind fermenting tomato seeds is that we are mimicking a natural process. Tomato seeds have a germination inhibitor on them that is removed during fermentation. Normally when a tomato falls to the ground it will rot and ferment, and soon after all of the viable seeds will sprout. Pretty interesting. I am not very scientific and can't explain that very well, but it sure is interesting! That makes sense! I'm excited to try some of this out this year. You have collected your daily Power Up! This post received an upvote worth of 0.34$. Thank you! Community gardens are amazing. I've considered starting one here but we are a bit too far off the beaten path. I am glad this inspired to to save some seeds. That makes me really happy! When I first started saving seeds I just rinsed them really well, spread them out to dry. It works and has been done that way by cottage gardeners forever ... but you do get more "duds" that way. 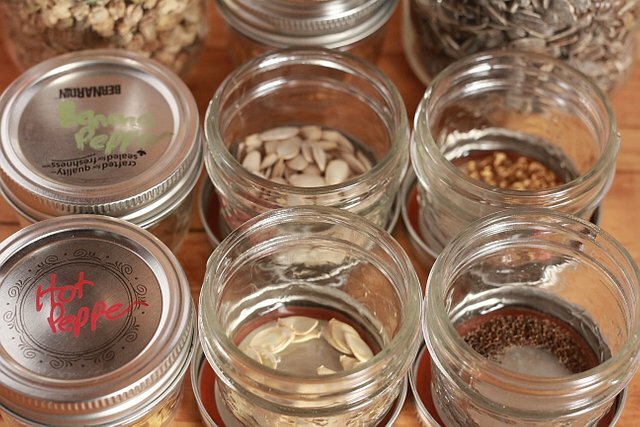 I just learn from you on how to preserve seeds for a long time, by storing them on a tight jar container to prevent moisture and heat from reaching them in other to prolong the seeds life. Thanks for this important guide's and information..
You have received an upvote from @livesustainably. I promote and curate content that encourages and educates others in living sustainably. You can support the live sustainably cause on Steemit by upvoting, resteeming and creating content under the tag #livesustainably. LiveSustainably has weekly competitions to win free Steem and we now have an upvote bot that is growing in power. 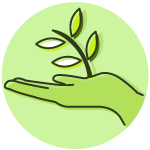 Check out @Greengrowth for more information on the upvote bot. @walkerland, Your post was Resteemed by @OCD! @ocd now has a witness. 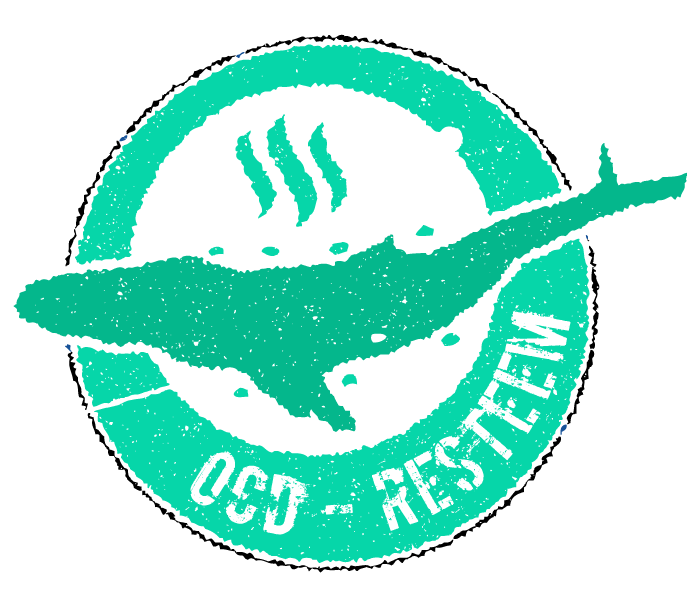 You can vote for @ocd-witness with SteemConnect or on Steemit Witnesses to help support other undervalued authors! So inspirational. My seed saving is a hot mess right now. Just ordered some tiny seed bags to get organized a little better. I sure hope my seeds I saved last year will germinate. 2nd garden this year so I am hopeful. seeds are pretty resilient, I'm sure you'll have success :) So many people (me included) are itching to get started with the garden! There is a great seed giveaway that @goldendawne runs! You might want to check it out! Odd you should mention it @walkerland - @qberryfarms was the last winner of my weekly giveaway! YES!!! I was so excited when @qberry won. It was a bonus week last week with that win and the Seed Carousel recipient. Had fun picking out seeds to return. I haven't saved Pepper and tomatoe seeds before. I have always bought plants or friends gave me starts. I will be brushing up on my drying, saving and organizing for sure. Thank you for both opportunities.